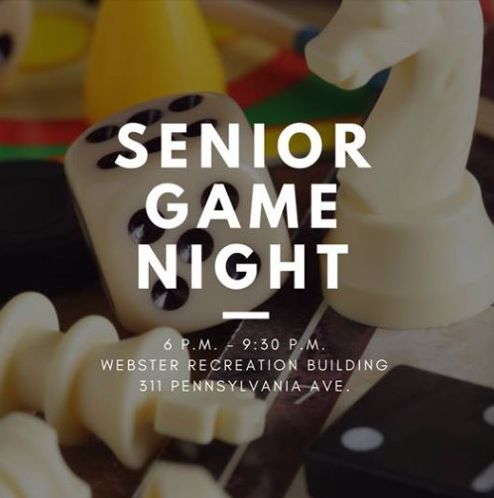 Please join us for the Senior Game Night at the Webster Recreation Building! Stop by 311 Pennsylvania Ave. for dinner, games, and conversation. Dinner starts at 6 p.m.!